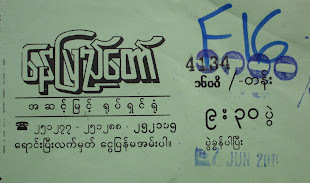 Myanmar's movie theater business has been acting a bit schizophrenic of late. On the one hand, at an estimated 49 active theaters nationwide, the country has the fewest number of movie theaters since World War Two, when its theaters were often on the receiving end of aerial bombings. 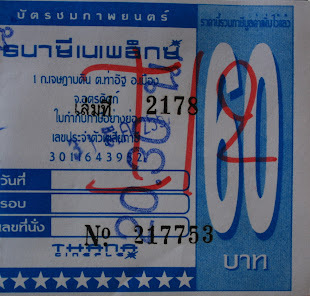 Nationwide, dozens of 3rd tier and even a handful of 2nd tier cities have lost their last operating theater over the course of the past 5 years. 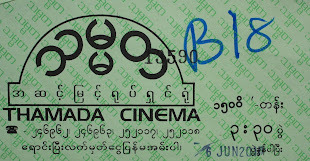 In all of Irrawaddy Region, for example, a paltry two cinemas serve a Region-wide population of over 6 million, hardly an apt ratio for a country poised to see high levels of economic growth. 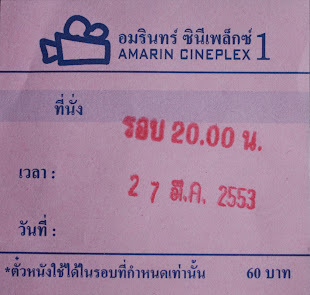 But there's an atypical corollary to the dwindling number of theaters. 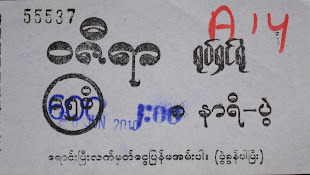 As a sizable portion of older theaters across Myanmar go out of business, an opposing trend towards renovation and technical upgrades is being seen in select cases (including one of the two remaining theaters in the aforementioned Irrawaddy Region). 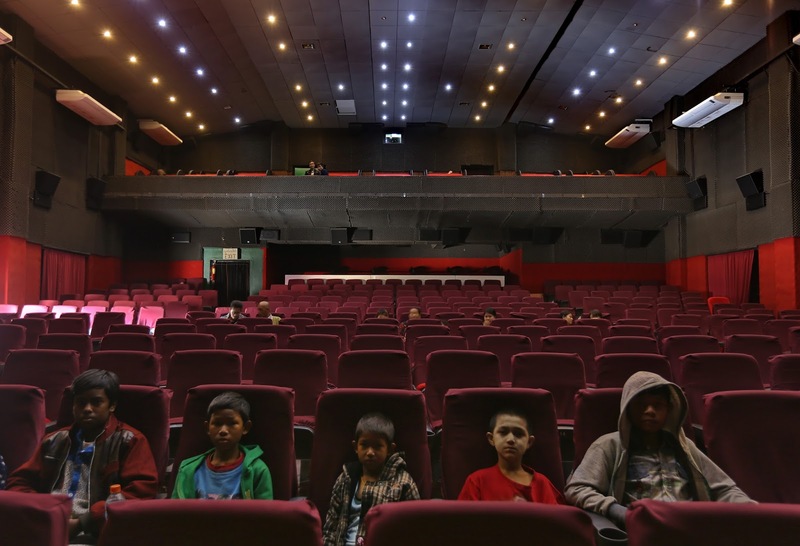 Economic confidence, sparked by the relaxing of some trade embargoes in the wake of political reforms has, it would seem, trickled down to the film industry. 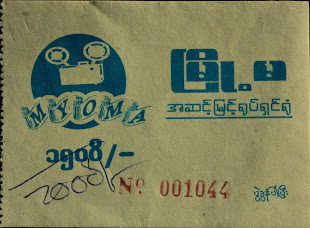 As the Ministry of Information privatizes its stock of old theaters, some of them have been acquired by cinema-minded entrepreneurs. 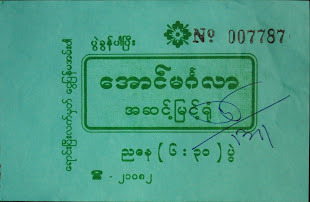 Though still by far the exception, this slowly expanding phenomenon represents a bright spot for preservationists, while offering a glimmer of hope that a human-focused, anti-sprawl form of development will find some adherents in Myanmar. 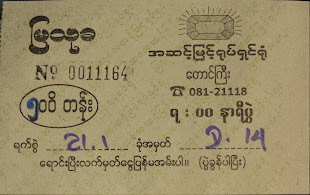 Aside from Yangon and Mandalay, the numbers one and two largest cities, Myanmar's many towns and cities tend to be compact and centralized, with work place and residence often in the same location. 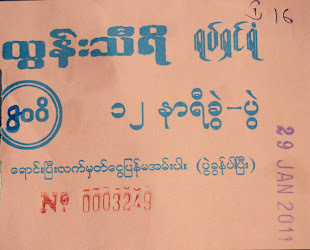 This pre-suburban sprawl living arrangement is the reason why so many of Myanmar's old theaters have managed to survive in the first place. To put that in context, cities across the developed world are pursuing policies that aim to curb sprawl and revive historic town cores. 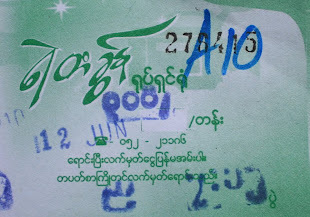 In that sense, Myanmar's long stagnation has left it in an advantageous position if it takes strides to limit private car ownership, enhance public transit and preserve its historic urban cores. Stand-alone movie theaters - the cultural anchors of modern urbanity - can play a major role in keeping the downtown core vibrant. 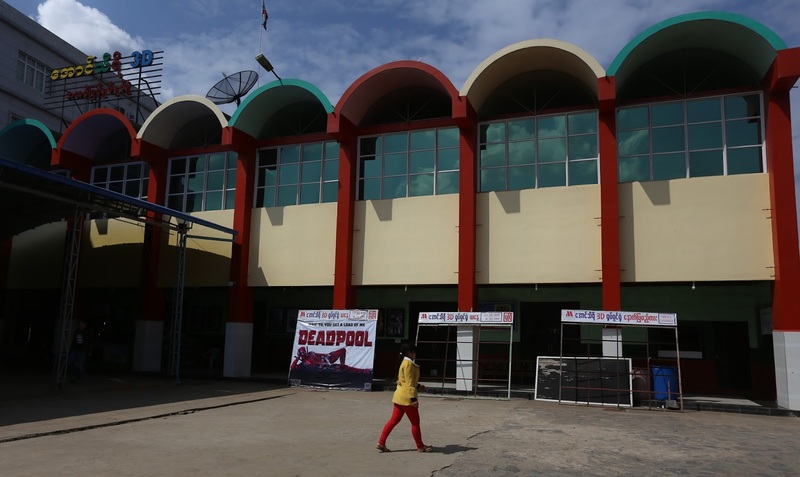 That said, Lashio in upper Shan State has the distinction of being home to two recently renovated stand-alone movie theaters. The first of the two was highlighted here a few months ago. 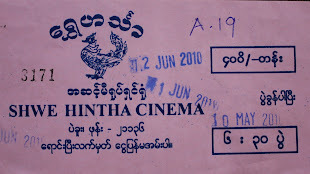 The second and more recent upgrade is the Aung Thiri Cinema. 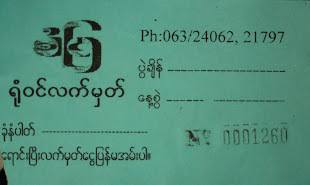 The commercial core of Lashio is built on the side of a hill, giving the town a naturally textured siting. Its topographical charm is further complemented by a medley of buildings from different eras, some made of wood, some brick and plaster, some concrete. Space in front of the buildings, from the sidewalks and to the edge of streets are the preserve of hawkers, peddling wares from fresh fruit to cheap electronics. Pedestrians are more or less confined to the streets themselves, reflecting what is at best an early motorized society. In other words, the strict delineation of space has yet to be hashed out. 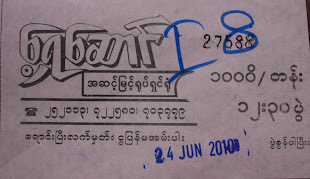 At the center of this city organism, hidden from plain sight behind a wall of concrete retail stalls, is the Aung Thiri Cinema. To reach the theater, one must go through a passage way between the little stalls which opens onto a plaza surrounding the theater. 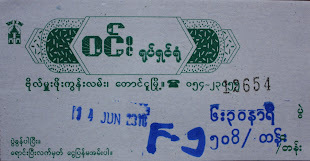 The architecture of the Aung Thiri is simple. The main structure is brick and concrete, though some interior parts are made of wood. Semi-circle arches sit atop concrete pilasters stacked vertically in the lengthwise procession of the facade. 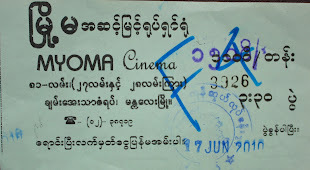 A very common orientation for Myanmar movie theaters. Logical in some ways, as it makes entering and exiting less of a bottle neck. There is no real lobby area to speak of, just a row of benches within a veranda. Folding wooden doors lead directly into the 400 seat auditorium. 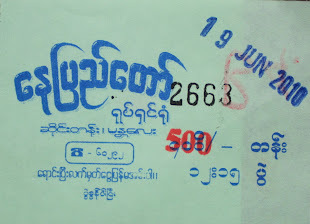 Evidence that the charms of the old can live harmoniously with the efficiency and sophistication of the new: the Aung Thiri's original wrought iron ticket window is looking as good as ever, while the ticketing system has been upgraded to a computer system. 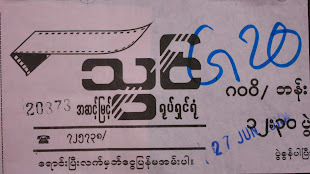 Upgraded seating, sound proofing and new lighting have been installed, ushering the Aung Thiri into the contemporary age. 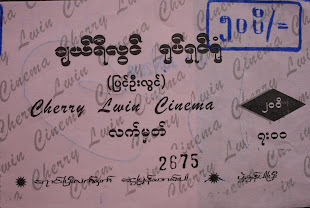 A theater from 1960's Burma looking much like a contemporary multiplex anywhere in the world. 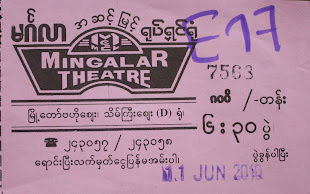 Revitalization of the Aung Thiri Cinema comes at the behest of Yangon-based Mingalar Cinemas, Myanmar's largest theater chain and a proactive player in the preservation of old stand-alones. 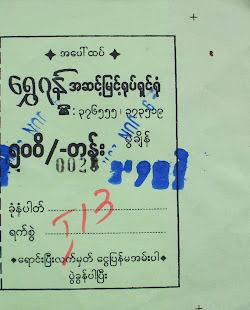 In 2014, Mingalar partnered with local operators to bring new life the Aung Thiri, which had been dormant since 2003. Seating was modernized, replacing the theater's original teak wood bench seats with the contemporary cushioned and folding kind. An air-conditioning system was installed for the first time. A brand new screen. 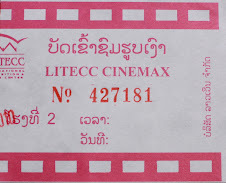 But above all else, a digital projector replaced the antiquated if still functional carbon-arc projectors, allowing for the latest in international productions to be screened in top notch quality. 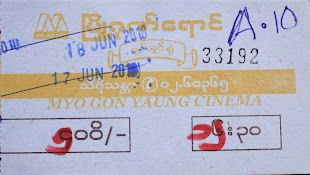 For Lashio, a town once at the far end of accessibility in a country that had long been blocked from the goings-on of the wider world, movie-going is officially in the 21st century. 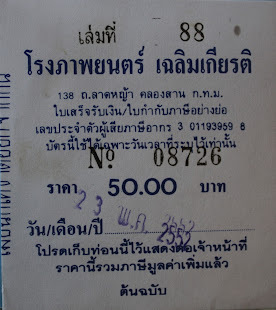 Accompanied, no less, by a treasured piece of the town's social history. 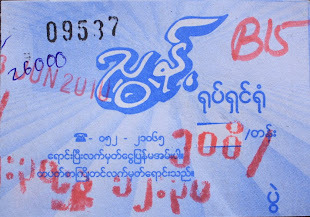 The Aung Thiri at night. 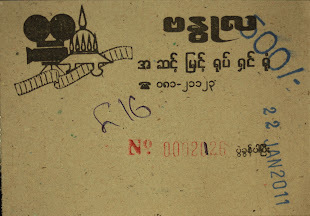 Photography and research at the Aung Thiri Cinema was made possible by the man in the photo below, Mr. Sai Ni Yon, whose impeccable English and generous nature made an often challenging task a breeze. 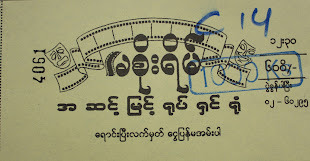 Not only was I granted full access to the Aung Thiri, but he very kindly imparted the historic details of this recently resuscitated cinema treasure. It was a blazing hot afternoon when I arrived in the town of Kumphawapi. 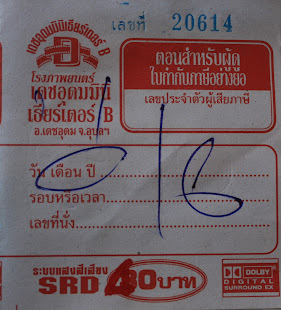 Though only an hour by minivan from Udon Thani - the gritty economic capital of northern Isan - Kumphawapi feels much further removed. 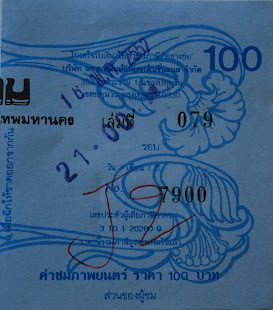 A prototypical Isan market town, in many ways. Rural in essence even if the physical town is somewhat built up. As I recall it, and the photos below attest to, the sun was beating down relentlessly, casting the town in bright hues that made it resemble the set of a Spaghetti Western. The townsfolk had apparently all sought refuge from the heat, leaving the streets deserted save for a troop of macaques lazing around in the shade of an ancient Banyan tree. 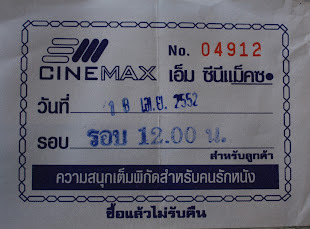 No more than 10 minutes after my arrival I was standing in front of Kumphawapi's lone movie theater, The Sermsuk. Naturally it was out of business, though in surprisingly good condition, or so its seemed from the exterior. 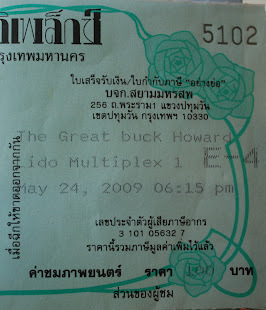 I snapped off a handful of shots before retreating to a local eatery for shade and sustenance, never following up on it, never digging into the theater's past. A brief conversation with the restaurant owner about its was as deep as I got. Sometimes I'm just not in the mood. To most of the world, if not most of Thailand itself, Ayuthaya is synonymous with the stony ruins of an erstwhile capital city. 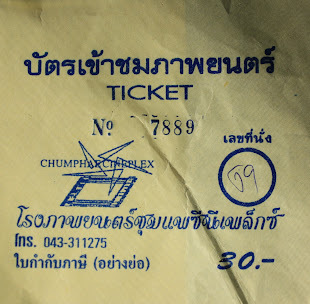 For decades the town has been one of the country's top tourist destinations, playing a key role in the tangible side of Thailand's national narrative. 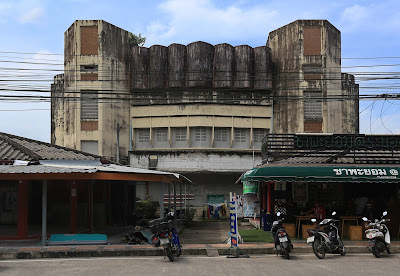 Beyond the smartly curated monuments of Ayuthaya Historical Park, a UNESCO World Heritage Site, wider Ayuthaya Province is the main node of an industrial belt occupying large swaths of Thailand's vast central plains. 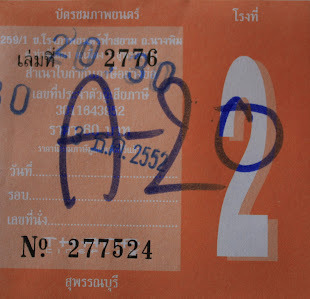 Between the eponymous provincial capital and Bangkok - the center of industry and the center of finance - are a number of districts which have more or less been subsumed into the Bangkok megacity and its industrialized outskirts. 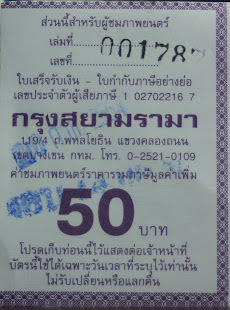 Among them is the town of Bang Pa-In, at Ayuthaya's southern tip. 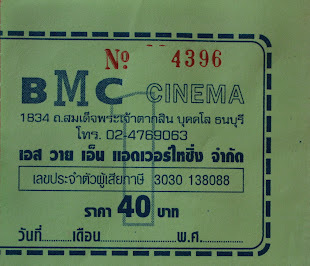 Like almost all of Thailand's 3rd tier cities, Bang Pa-In was once home to a locally owned stand-alone movie theater. As universal as these structures once were, they are today universally blighted, if standing at all. Those that still stand are silent bonds between a recent past and the present. 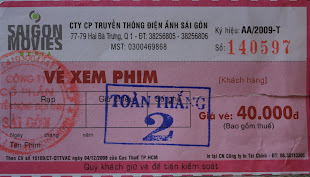 The Bang Pa-In Rama came into existence under historically telling circumstances. 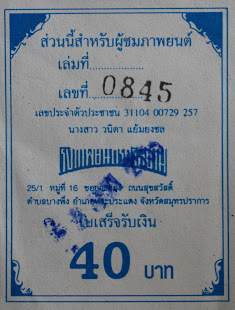 A journey back in time can place it, with near lapidary accuracy, in a moment when Ayuthaya's industrial economy was growing by leaps and bounds. 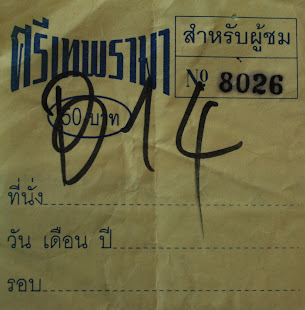 By the early 1980's, Thailand's industrialization project had revved up to new highs. 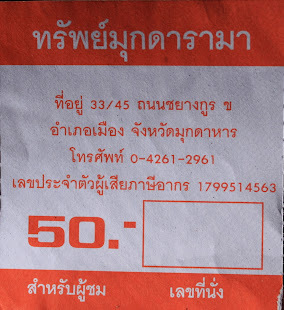 Foreign investment in the manufacturing sector, led by Japan, resulted in many of Bangkok's satellite cities transforming from minor market towns catering to agriculture and whatever cottage industry might therein lie, to centers of highly capitalized manufacturing. 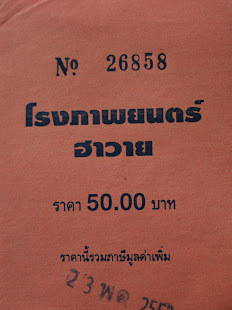 Outlying land, once the reserve of paddy rice and jungle, was claimed for the construction of industrial parks and housing estates for workers. 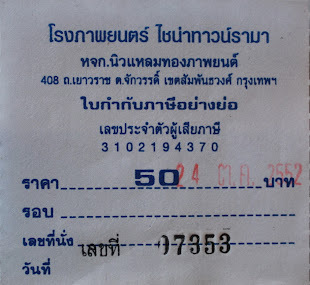 As for Bang Pa-In, seat of the southern most district in the province, it was transformed from a sleepy market town, best known for having a summer palace of Thailand's royal family, into a feeder town for both Ayuthaya and Bangkok. 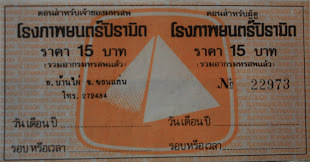 The need to transport labor from Bang Pa-In and its environs to factories to the north and south necessitated a wider transit network. 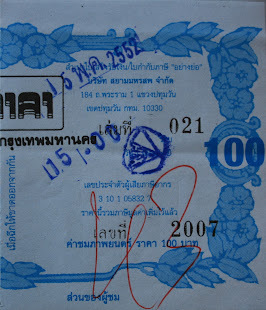 And so, at the highway junction towards the southern end of town arose the Bang Pa-In Commerce Center, anchored by two important institutions - a bus depot and the Bang Pa-In Rama. The year was 1983. 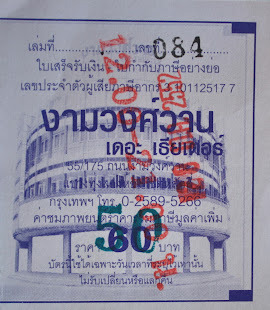 Late stage International Style architecture characterizes the Bang Pa-In Rama. 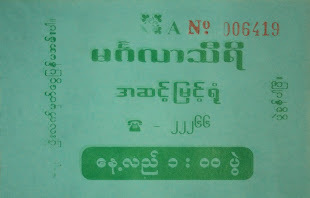 Signage on the facade in 80's digital font. 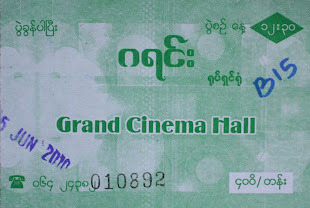 The growth of cinema halls around transit hubs was once fairly common. In fact, it might be said to be one of the more typical couplings of the 20th century when it comes to modern infrastructure. Usually it was train stations that movie theaters sprang up around, but bus depots have been known to have theaters in close proximity, as well. The reason for it simple: Passengers arriving from far and wide at a given transit station often have time to kill. 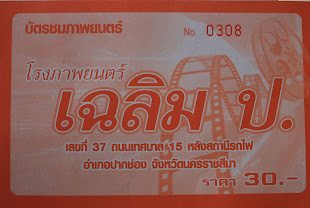 Movies are one of the great pass-times. The upper lobby is now occupied by a billiards hall. Ribbon windows and dilapidated benches highlight the foyer. 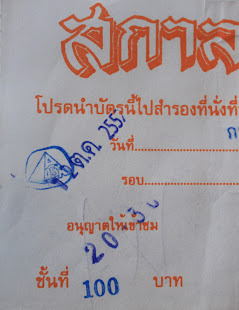 One of the former projectionists at the Bang Pa-In Rama, now working as a motorcycle taxi driver. Faded poster in the projection booth. 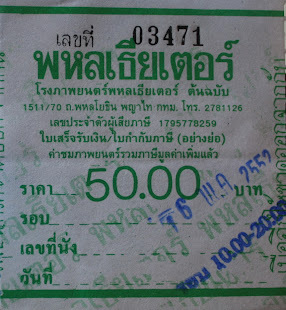 The Bang Pa-In Rama and the commercial/transit center that it stands in has remained in the hands of the family that built it back in 1983, though it has since been passed down to the second generation. 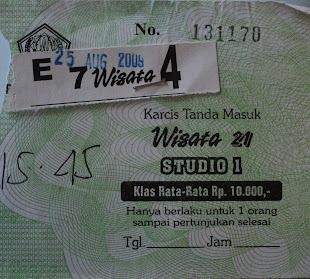 The theater itself closed up in 1994, but part of it is rented out to a billiards halls. 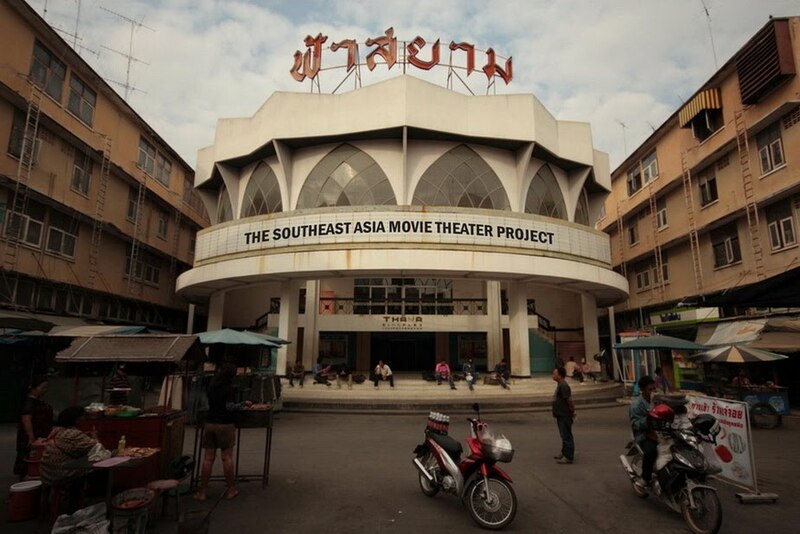 "My father was never really passionate about the theater," explained the current owner, who requested anonymity. 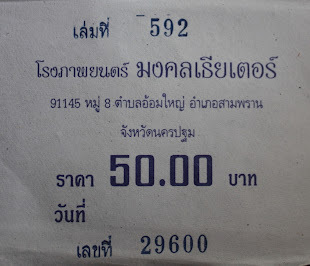 "He was told it would be a good business to go with a bus depot - and it was for a while - but the business went bad pretty quickly. I don't really think about it much these days. 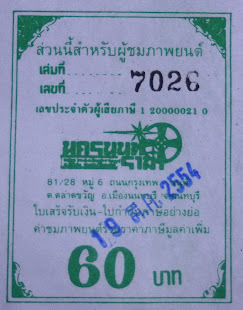 It generates a bit of income from the billiards hall, and motorcycle taxi drivers hang out in the lobby. Otherwise it's just there. It's structurally sound so there's no good reason to knock it down." 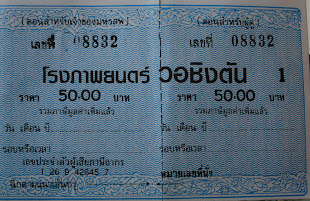 Thai PBS followed me to the Bang Pa-In Rama to film a short entertainment news feature about The Southeast Asia Movie Theater Project. This aired on January 15th, 2016. 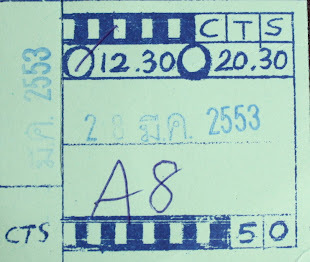 Just a reminder, there are now only 3 out of a limited run of 35 copies remaining of The Movie Theaters of Thailand photo portfolio. Once these are gone they will never be printed again. The entire box set is on sale here and here exclusively for $300 dollars, including shipping. 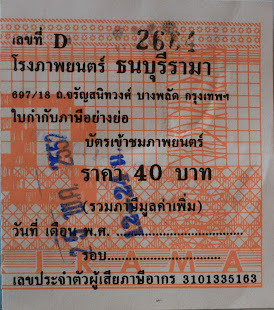 By making this purchase, you will become the owner of unique work of photography, printed on handmade mulberry paper from Chiang Mai, Thailand. 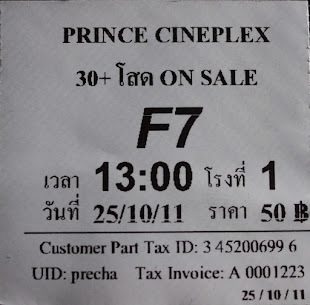 You will also be supporting the continuation of this project, as all proceeds go directly towards future movie theater surveys in Southeast Asia.